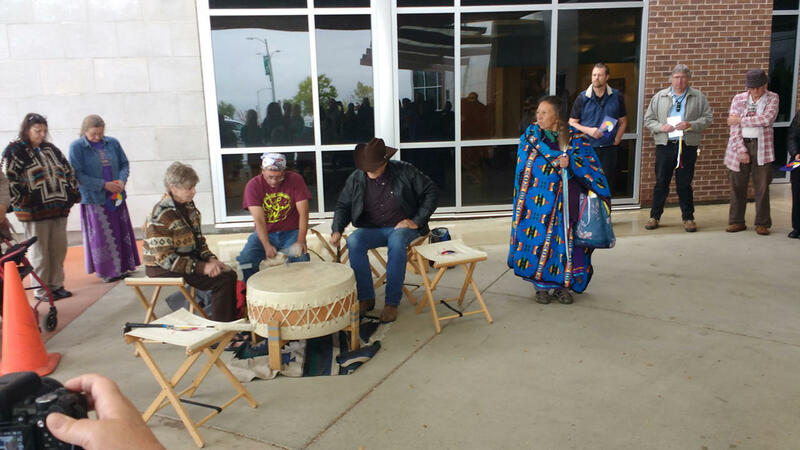 A drum circle just outside Saint Peter’s main entrance heralded the opening of the hospital’s new “Culture Room”, a former office just off the hospital’s main chapel, which can be used for “smudging”, a ceremony in which sacred plants such as sweet grass are burned to cleanse a person of negative energy. Little Shell Tribal member Daniel Pocha said getting hospitals to allow smudging has always been hit and miss. 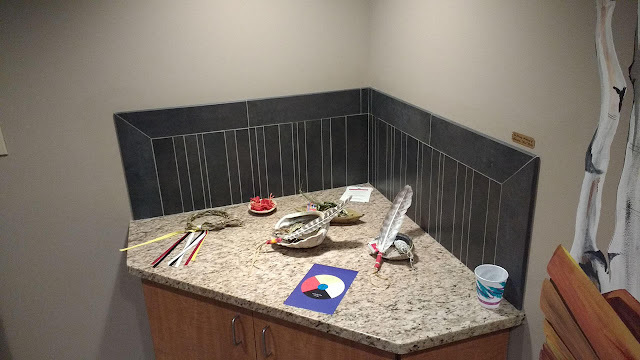 Great, not only because the culture room is convenient, but also because it acknowledges the needs of patients who follow native spiritual traditions. The room is decorated with murals depicting a waterfall, and a bald eagle carrying sage and sweetgrass. Any patient can ask to use the culture room, for healing ceremonies, meeting with hospital staff, or quiet reflection. 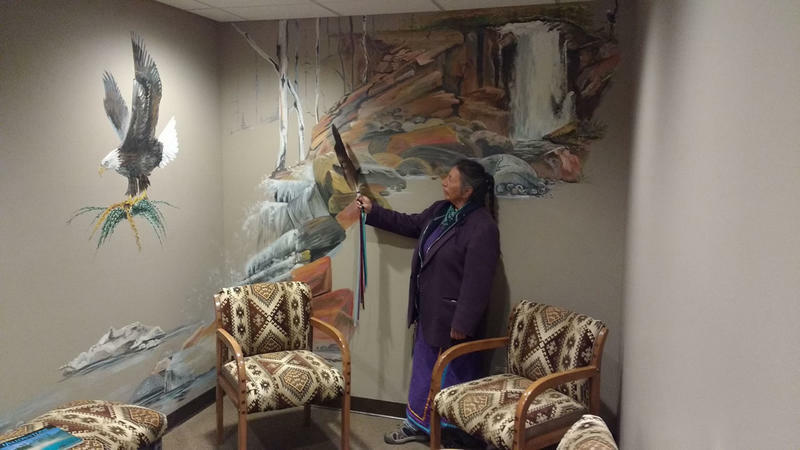 Responses to "Helena Hospital Opens "Smudging" Room For Native Americans "
Very appropriate! It's about time! Thanks for your attention and sensitivity to the people! I think that is fantastic. Yay!! !for our Native American brothers and sisters. Wonderful! More hospitals need this. I love this. Thanks Helena Hospital. Heres to more smudge rooms becoming part of a health system that supports indigenous people rights to being healthy. Anonymous can u tell me what r u allergic to in sage and natural and sweet grass maybe your asmatic if so I mean no disrespect.. The artist's name is Louise Ogemahgeshig Fischer; Anishinaabe. Is volunteering at a retirement home/nursing home lame? This is wonderful!! Certainly much needed. Thank you Helena Hospital! !